Max 2 features a full metal unibody design along with rounded edges and just 7.6mm thickness. This device also has a fingerprint scanner on the rear side but this device comes with a single camera on the rear side. 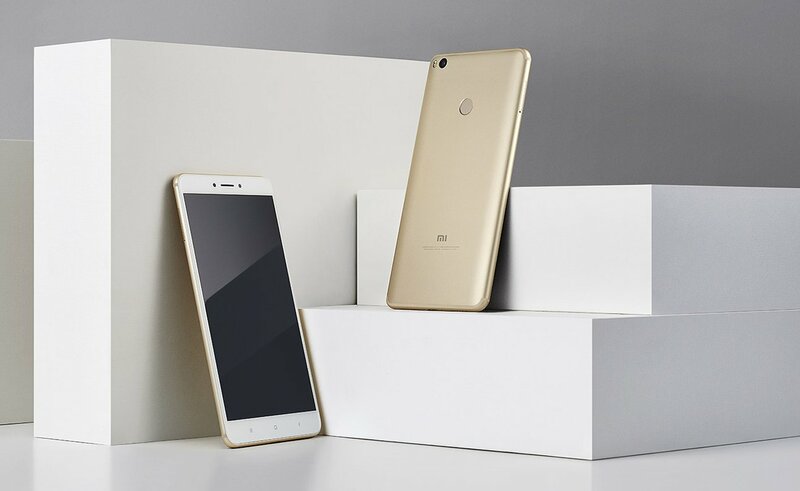 It comes with a massive upgraded 5300mAh battery from the 4850mAh battery found on its predecessor. The Xiaomi Ma Mix 2 features a 6.44-inch Full HD IPS 2.5D curved glass display with 450nits brightness, 1000 : 1 contrast ratio, 72% NTSC color gamut and 1920 x 1080 pixels resolution. It gets powered by a 2GHz octa-core Snapdragon 625 14nm processor that also comes with Adreno 506 GPU and 4GB of RAM. It comes with 64GB / 128GB inbuilt storage capacity that expandable with the help of MicroSD card slot. 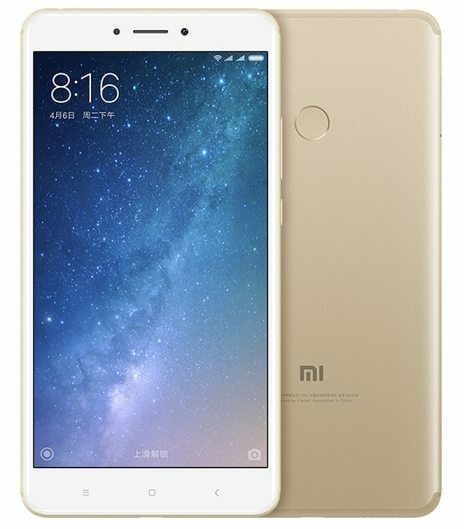 It runs on the company's MIUI 8 OS that is based on the Android 7.1.1 (Nougat) OS out of the box. It also supports Hybrid Dual-SIM slots. The device has a fingerprint sensor on the rear panel and also comes with an infrared sensor. It will be available in Golden color option. It features a 12-megapixel rear camera with dual-tone LED Flash, PDAF, f/2.2 aperture, Sony IMX386 sensor, 1.25μm pixel size and has a 5-megapixel front-facing camera with 85-degree wide-angle lens and f/2.0 aperture. It is backed up by a huge 5300mAh battery with Quick Charge 3.0 feature that can charge the phone up to 68% in one hour and can deliver up to 18 hours of video playback or 57 hours of talk time on a single charge. The battery of the phone comes with dual charging module that offers a better heat dispersion to cool down the battery faster. It comes with connectivity options such as 4G VoLTE, Wi-Fi 802.11ac (2.4 / 5GHz) MIMO, Bluetooth 4.2, GPS + GLONASS, USB Type-C, 3.5mm audio jack and also comes with stereo speakers. It measures 174.1×88.7×7.6mm and weights 211 grams. 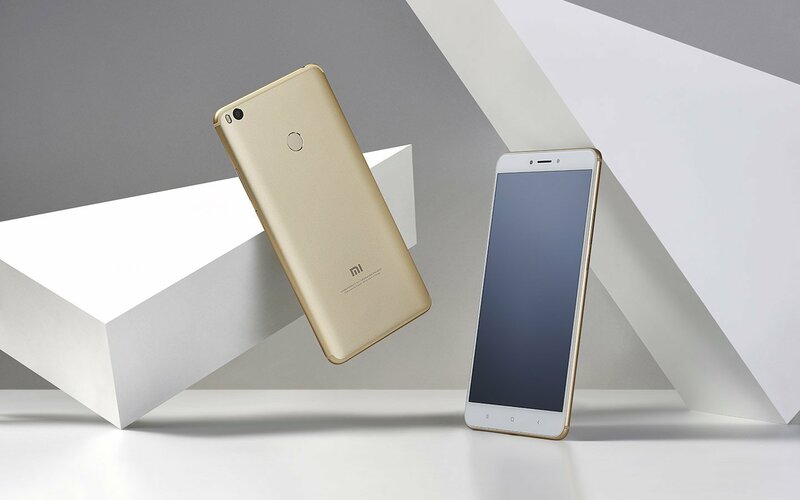 To recall, the Xiaomi Mi Max was launched back last year with a 6.44-inch Full HD IPS 2.5D curved glass display with 1920 x 1080 pixels resolution, a hexa-core Snapdragon 650 / octa-core Snapdragon 652 processor with Adreno 510 GPU, 3GB RAM + 32GB / 64GB storage and 4GB + 128GB storage variants, expandable storage with microSD card, MIUI 8 OS based on Android 6.0 Marshmallow OS, Dual SIM, full metal unibody design, a 16-megapixel rear camera with dual-tone LED Flash, PDAF and f/2.0 aperture, a 5-megapixel front-facing camera with 85-degree wide-angle lens and f/2.0 aperture, a large 4850 mAh battery, connectivity options includes 4G LTE with VoLTE, Wi-Fi 802.11ac, Bluetooth 4.2, GPS and GLONASS, a fingerprint sensor, infrared sensor, gold, silver and light grey color options and it measures 173.1×88.3×7.5 mm and weights 203 grams.